One serious form of decay among young children is baby bottle tooth decay. This condition is caused by frequent and long exposures of an infant’s teeth to liquids that contain sugar. Among these liquids are milk (including breast milk), formula, juice and other sweetened drinks. 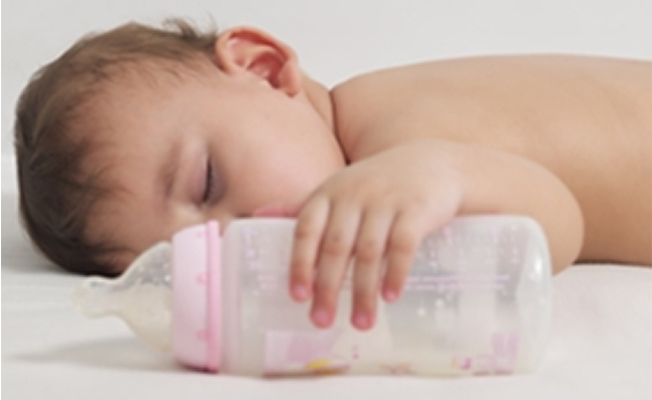 Bottles should be discontinued by the first birthday, and sippy cups should be used as a training tool to go from the bottle to a regular cup. If your child uses a sippy cup throughout the day, fill the sippy cup with water only (except at mealtimes). By filling the sippy cup with liquids that contain sugar (including milk, fruit juice, Kool aid, etc.) 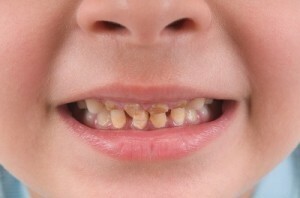 and allowing a child to drink from it throughout the day, it soaks the child’s teeth in cavity causing bacteria.